Marc shares some of the events that happened on this day in history, including the arrest of Bernard Madoff, the birth of Grace Paley, and the death of Sam Cooke. 361 – Julian the Apostate enters Constantinople as sole Emperor of the Roman Empire. 630 – Muhammad leads an army of 10,000 to conquer Mecca. 1688 – James II of England abdicated the throne by throwing the Great Seal of the Realm into the River Thames. 1706 – An act was passed in New York that encouraged the baptism of slaves. The act did not, however, free any slaves. The Society for the Propagation of the Gospel in Foreign Parts appointed Elias Neau to minister and convert the Native American population to Christianity. Neau believed that he would have more success with the African slave population. He convinces slave owners in New York to release once a week for ecumenical education. In 1706 he sponsored a law asserting that baptism didi not change the civil statu of slaves. The SPG was hesitant to actually baptize slaves and teach them how to read. 1753: French, under Legardeur de Saint-Pierre, are at Fort le Boeuf on French Creek, near present day Waterford, in northwestn Pennsylvania . Major George Washington arrives today delivering a message from Virginia Governor Dinwiddie. The message says the French are trespassing, and to leave. 1816 – Indiana becomes the 19th U.S. state. 1909 – A further 2,147 mile section of the Cape-to-Cairo Railroad is completed when lines meet at the Sudan-Congo border. 1923 : Mexico – Rebels were fighting 28,000 of President Obregon’s government troops in Vera Cruz and Jalisco. They captured 200 prisoners, many weapons, and horses. The fighting was very intense. 1936 : The Olympic games were to be held in Berlin in 1936 and the American Jewish Congress protested the fact that Nazi Germany was not giving Jewish athletes equality with the other athletes. 1941 : Hitler and Mussolini announce they are at war with America who retaliates with its own declaration of war . 1946 : The United Nations General Assembly establishes (UNICEF) United Nations International Children’s Emergency Fund to provide emergency food and healthcare to children in countries that had been devastated by World War II. 1951 – Ten days after an Illinois State mine inspector approved coal dust removal techniques at New Orient mine in West Frankfort, the mine exploded, largely because of coal dust accumulations, killing 119 workers. 1961, The Marvelettes went to No.1 on the US singles chart with ‘Please Mr Postman’. The session musicians on the track included 22 year old Marvin Gaye on drums. The song gave the Carpenters a US No.1 and UK No.2 single in 1975. 1961 : A U.S. aircraft carrier carrying Army helicopters arrived in Saigon the first direct American military support for South Vietnam’s battle against Communist guerrillas. 1962 – Arthur Lucas, convicted of murder, is the last person to be executed in Canada. 1963 – The first ‘Bantustans’ or ‘homelands’ comes into existence when the Transkei Regional authority is instituted. 1964 – Che Guevara speaks at the United Nations General Assembly in New York, New York. 1967 : Forty-six American soldiers were wounded and seven were killed in three confrontations with the Viet Cong 50 miles north of Saigon. Packages of heroine were found on some of the Viet Cong soldiers. An army doctor speculated that it makes them intoxicated so that they don’t fear getting injured or dying. 1979 : Huber Matos, a favored lieutenant under Castro, came to despise his former leader. Matos was to spend 20 years in prison under inhuman conditions because he didn’t believe in what Castro was doing. Matos claimed that Castro became communist rather than trying democracy because under communism he could rule Cuba for a lifetime. 1979 : The Rhodesian Parliament hands power back to Britain until democratic elections can take place. The country will be renamed Zimbabwe after the elections. 1980 – Dr Apollo Milton Obote is finally returned to power in Uganda. When it seemed like the opposition DP party might win, the chair of the military commission ‘took over’ the counting of ballots. 1982, Singer, TV actress and dancer Toni Basil went to No.1 on the US singles chart with ‘Mickey’, making her a US one hit wonder. 1986 : Scientists have discovered that pesticides have poisoned 5,000-10,000 birds during the previous September in Spain.. The enormous numbers of deaths occurred in a rice growing region on the Atlantic seaboard in southern Spain. 1992 – Ella Jane Fitzgerald received the Presidential Medal of Freedom, the nation’s highest civilian honor, from President George H. W. Bush. Fitzgerald was born April 25, 1917 in Newport News, Virginia. 1994 : Russian President Boris Yeltsin orders tanks and troops into the rebel region of Chechnya to restore constitutional order, the mostly Muslim region had declared independence from Moscow and had been having problems with rebels who it is believed were funded by Moscow. The war continued for nearly 2 years when Chechnya was given substantial autonomy but not full independence. 2006 : Kofi Annan makes his last speech as U.N. secretary general, and calls upon the U.S. not to lose sight of its core principles during the fight on terror. Mr. Annan said that states should be accountable for their actions, and the U.N. was the only body where this could be assured. In Washington, State Department spokesman Sean McCormack said Mr Annan was entitled to his opinions. 2006 : Iran’s foreign minister rejects criticism of the two-day conference being held in Iran that examined whether the Holocaust actually happened. Manouchehr Mottaki told its participants that the event did not seek to confirm or deny the Holocaust, but allow people to “express their views freely”. Israel’s prime minister has condemned the gathering, and Mahmoud Ahmadinejad has questioned the scale of the Holocaust, in which six million Jews died. 2006 – Felipe Calderón, the President of Mexico, launches a military-led offensive to put down the drug cartel violence in the state of Michoacán. This effort is often regarded as the first event in the Mexican Drug War. 2007 : Al-Qaeda terrorists plant a car bomb at the United Nations office in Algiers killing 11 United Nations employees. The terrorists also plant a massive bomb the cities Constitutional Council Offices in the city killing up to 20 including a number of students in a bus who were passing the building. 2008 : The Bank of America Corporation says that it is planning on cutting 30,000 to 35,000 positions over the next three years as a result of its acquisition of Merrill Lynch & Co. and the current economic situation. They admit that the final number of job cuts won’t be known for some time. 2008 – Bernard Madoff is arrested and charged with securities fraud in a $50 billion Ponzi scheme. 2011 : Former leader of Panama, Manuel Noriega, was extradited back to Panama from France where he had been held. Noriega was taken straight to prison after being convicted (in absentia) of crimes that he had committed like murdering political opponents, embezzlement, and corruption in the 1980s when he was in power. 1863 – Annie Jump Cannon (December 11, 1863 – April 13, 1941) was an American astronomer whose cataloging work was instrumental in the development of contemporary stellar classification. With Edward C. Pickering, she is credited with the creation of the Harvard Classification Scheme, which was the first serious attempt to organize and classify stars based on their temperatures. 1918 – Aleksandr Isayevich Solzhenitsyn is best known and remembered as a novelist, and historian who made the world aware of the Gulag, the Soviet Union’s forced labor camp system in his books “The Gulag Archipelago” and “One Day in the Life of Ivan Denisovich”. In 1970 Solzhenitsyn was awarded the Nobel Prize in Literature and shortly after in 1974 he was exiled from the Soviet Union. 1922 – Grace Paley (December 11, 1922 – August 22, 2007) was an American short story writer, poet, teacher, and political activist. Paley was known for pacifism and for political activism. She wrote about the complexities of women’s and men’s lives and advocated for what she said was the betterment of life for everyone. In the 1950s, Paley joined friends in protesting nuclear proliferation and American militarization. She also worked with the American Friends Service Committee to establish neighborhood peace groups, through which she met her second husband Robert Nichols. With the escalation of the Vietnam War, Paley joined the War Resisters League. In 1968, she signed the “Writers and Editors War Tax Protest” pledge, vowing to refuse tax payments in protest against the Vietnam War, and in 1969 she came to national prominence as an activist when she accompanied a peace mission to Hanoi to negotiate the release of prisoners of war. She served as a delegate to the 1974 World Peace Conference in Moscow and, in 1978, was arrested as one of “The White House Eleven” for unfurling an anti-nuclear banner (that read “No Nuclear Weapons—No Nuclear Power—USA and USSR”) on the White House lawn. 1926, Born on this day, Big Mama Thornton, singer, songwriter, Janis Joplin cover her song ‘Ball And Chain’, had the 1953 version of ‘Hound Dog’ before Elvis Presley. She died in 1984. 1931 – RITA MORENO – Acclaimed Puerto Rican singer who became the first person to win all four performance arts awards: Oscar, Emmy, Tony, and Grammy. 1961, Born on this day, Darryl Jones also known as “The Munch.’ American bassist who has played with the Rolling Stones since Bill Wyman’s departure in 1993. Also worked with Miles Davis, Herbie Hancock, Sting, Peter Gabriel, Madonna, Eric Clapton and Joan Armatrading. 1967 – MONIQUE – Actress and comedienne who starred in Precious in 2009. 1973 – MOS DEF – Born Dante Smith, he is a rapper, actor, and political activist who also goes by the name Yasiin Bey. 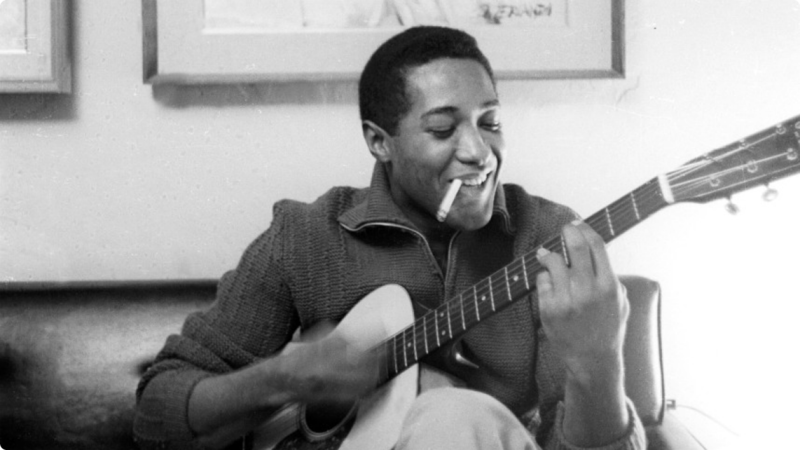 1964, Soul singer Sam Cooke was shot dead at the Hacienda Motel in Los Angeles, California. Bertha Franklin, manager of the motel, told police that she shot and killed Cooke in self-defense because he had attacked her. Police found Cooke’s body in Franklin’s apartment-office, clad only in a sports jacket and shoes, but no shirt, pants or underwear. The shooting was ultimately ruled a justifiable homicide. 2012 : Russian opera singer Galina Vishnevskaya died at the age of eighty-six. Vishnevskaya had a forty year career and had performed many soprano roles in classic operas.